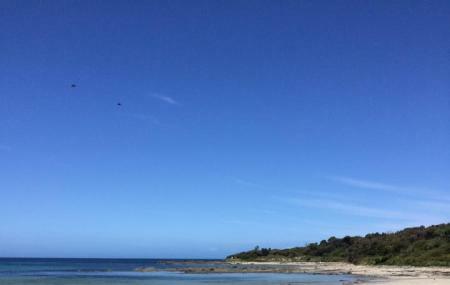 The Blanket Bay Campground is a tourist attraction in Australia. This campground is widely renowned for its naturally beautiful sights and stunning weather. This place is widely appreciated and supported by the neighbouring community. Apart from the camping area, this park is also praised for its hiking and picnic options. This is a very attractive option for kids as they will be excited to see the rare birds and animals kept in the cages near the park. You can visit with your family and friends if you are planning to take a break from your regular life. Want to plan a DIY trip? Use Cape Otway trip planner for the same. Fine Accommodation options like Marengo Holiday Park, Motel Marengo and The Boomerangs At Johanna will meet your requirement of where to stay in Cape Otway. Choose from variety of exclusive Cape Otway vacation packages for your next visit or create own own. Check out the various options for how to reach Cape Otway and finish off your vacation package by booking the ideal transfer. Basic, but well maintained campsite. Sheltered and peaceful. The firepits are great - be sure to bring firewood! Limited rainwater only - best to bring your own. Koalas are everywhere! Quite a few wasps at site 19, but they weren't aggressive even when swatted. I think they just wanted my breakfast (which was rather good). Terrific spot for camping...take home your rubbish, take fresh water and food. Best part not close to cafe. Snug private camping spots. Book through Parks Victoria. Great beach and lovely rockpools, very nice and private camping spots. I caught some mullet on in the surf, although there were quite a few snags. The shared campfire pits aren't too shabby. Nice camp site, drop toilet, good views, nice beach. Camped in site 16 near fire pit, was a bit muddy due to rain but over all good campsite! The best ever but booking is essential.